You are here: Home / essential oils / Essential Oil Remedies: Helpful or Hype? Essential oils are used to improve moods of babies and children. They can be applied topically through the skin in lotions, through inhalation, or be used in a bath. While using aromatherapy and essential oils is generally safe to use small amounts in diffusers, candles, and lotions, there is a chance of allergic reactions. But, essential oils are expensive to experiment with and are powerful. They must be used with caution, diluted, and stored out of the reach of children. Nannies should always consult with a child’s parents and pediatrician before using essential oils with children. Tea Tree Oil is used to stimulate the immune system and kill viral, bacterial, and fungal infections. It can also be used to clean wounds and relieve muscle aches and pains. It can also be used as a bug repellent. Lavender Oil is commonly used to relax children at bedtime. It also is used to help with cold and flu symptoms and for first aid and sunburns. Chamomile Oil is also used to relax and calm children. It is used as a digestive aid for babies with colic or constipation. Peppermint Oil is used as a digestive aid and can be used to help with colic, cool fevers, and act as a decongestant. Eucalyptus Oil is used as a decongestant. It also believed to help cool fevers and has anti-viral and anti-bacterial properties. Rose Otto Oil is used to help children with seasonal allergies, treat hay fever, and asthma. Frankincense Oil is very expensive and is used for infections, pain, and congestion. Sandalwood Oil is used for sore throats and used as a sedative. Ten drops of Eucalyptus essential oil in one quart of hot water. Hold face over bowl with towel draped over bowl and head. Inhale steam deeply for one minute. Twelve drops of Lavender essential oil in one ounce of sweet almond oil. Massage into skin before bed to promote a restful night’s sleep. Seven drops Tea Tree essential oil and 6 drops of Lavender essential oil mixed with one ounce of melted coconut oil. Allow to harden and apply as needed. Six drops of Sandalwood essential oil and 6 drops of Chamomile oil to one ounce of jojoba oil. Place 2-3 drops in painful ear 2-3 times a day as needed. Essential oils should never be taken orally. 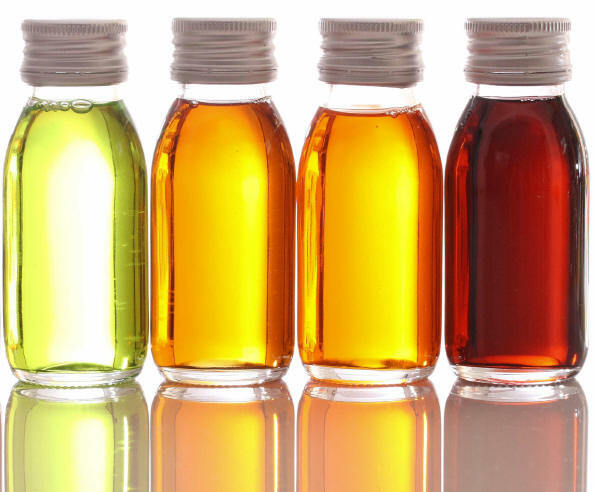 Essential oils should always be diluted, using an even weaker dilution on children. When using essential oils in steam, never leave the child unsupervised and keep the inhalation to only one minute. « Walking Harness: Helpful or Hype?